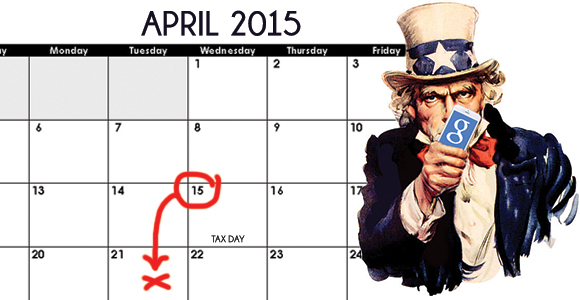 Most of us are aware that Tax Day is April 15th, but website owners should know about another very important deadline that’s coming in April. Instead of requesting 1040s and Schedule Cs, Google is asking you to make your website mobile friendly by April 21st this year. If your web pages aren’t ready by the “Mobile Tax Day,” you could end up paying a serious penalty with your Google rankings. Google recently announced that it is expanding the use of mobile friendliness as a ranking, which will have a significant impact in search results. The bottom line: if you don’t want your site ranking to slide, your site needs to be mobile friendly by April 21st. The digital team at Fish has put together the following tips to ensure you come out ahead on Mobile Tax Day. To see if your site is mobile friendly, use Google’s “Mobile Friendly Test.” Just enter a web page URL and hit “Analyze”. 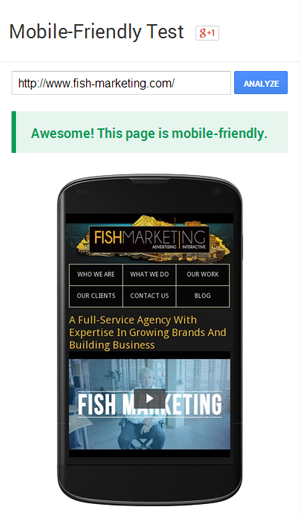 In a few seconds Google will tell you if it considers your page mobile friendly. We recommend running this test on your homepage and other key pages on your website. Try the Mobile Friendly Test on your website. If you have a large, dynamic site with many pages and can’t run the mobile test on each and every page, get a mobile usability report for your entire site. This tool identifies pages that are not mobile friendly and points out issues that need improvement. Were your web pages flagged as non-mobile friendly? If Google has deemed that your pages are not mobile friendly, you should make it a big priority to correct them this year. If terms like “meta viewport” seem as daunting as “marginal tax rates,” it may be best to seek an expert’s help. But before working with a developer, be sure to review their portfolio of mobile friendly websites, and evaluate their responsive web design abilities. And remember, you can always contact the mobile bean counters here at Fish for more mobile friendly advice!